Watchkeeping Mate program students Jennifer Scott and Kevin Campbell were presented with prestigious awards by the Nautical Professional Education Society of Canada (NPESC) on November 17, 2015 during a special ceremony in the new Trades Education and Innovation Complex at Camosun’s Interurban campus. The Province is supporting newcomers to Victoria who are looking for work by providing $210,992 toward English language training at Camosun College for high-demand jobs. After months of hard work to complete their diploma, students of Camosun's Electronics & Computer Engineering Technology (ECET) program will showcase their four innovative Capstone projects to the public and potential employers on Friday, December 11 from 10am to 2pm at the Helmut Huber annex at the Interurban Campus. A Camosun College art installation will commemorate the lives of the 14 victims of l‘École Polytechnique massacre, an event that still haunts and inspires action, even 26 years after the tragic events of December 6, 1989. With the completion of the new Belmont High School in Langford, Camosun College is offering seven, first-year, and university-transferable and business courses, including popular classes in English, math, sociology, philosophy, and accounting. Camosun Electronics and Computer Engineering Technology students Joel Mellish, Joe Bogner and Max Amsler placed first in an applied research report contest, earning a cash prize of $1,000 and national recognition from the Canadian Council of Technicians and Technologists (CTAB). The contest demonstrates the consolidation professional skills: exemplary technology expertise, excellent documentation/reporting skills and superior presentation skills. The Camosun College Chargers men’s volleyball squad produced their fifth consecutive weekend sweep, taking down a determined Capilano Blues crew in North Vancouver on November 20 and 21. With 10 straight wins and a No. 1 national ranking, the undefeated Chargers have been billed as the team to beat by foes and fans alike as the end of first half of the PACWEST season approaches. Camosun only interrupts regular operations under exceptional circumstances. A decision to close the college due to adverse weather events (e.g., a severe snow storm) will be posted on the college home page and communicated through the Camosun Emergency App, Facebook, Twitter, and local media. While every effort is taken to make a closure decision by 6am, deteriorating conditions may trigger an announcement at any time of day. Twenty-four deserving Camosun College students have just learned they will each receive a $5,000 Ike Barber Transfer Scholarship recognizing excellence in academic achievement and community service. Students on Vancouver Island looking to make a difference in a justice and public safety career can now complete an applied law enforcement degree in Victoria. Beginning in September 2016, graduates of Camosun's Criminal Justice Diploma and JIBC's Law Enforcement Studies Diploma will have the opportunity to complete JIBC's Bachelor of Law Enforcement Studies (BLES) at Camosun's Lansdowne Campus in Victoria. 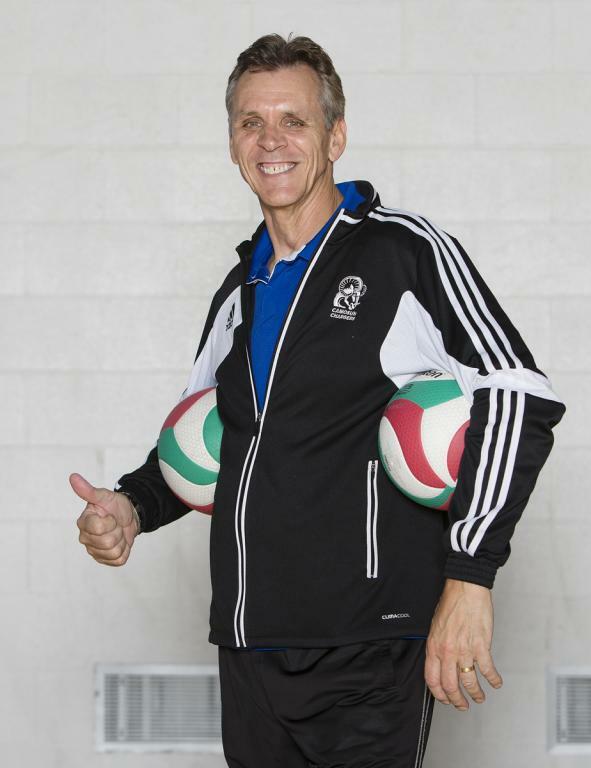 Camosun College is proud to congratulate Chargers Men’s Volleyball Head Coach and faculty member of the Centre for Sport and Exercise Education, Charles Parkinson, on his recent induction to the Volleyball BC (VBC) Hall of Fame in the category of "Builder." To recognize the invaluable contribution of apprentices and their employers to the province's economy and labour force, the British Columbia government has officially proclaimed November 2–6, 2015, as Apprenticeship Recognition Week in BC. Students and faculty from Camosun's Carpentry, Culinary Arts, and Women in Trades programs showcased their skills at a launch event held November 2 at the BC Legislature. After collecting three of four wins against the CBC Bearcats in Abbotsford over the Halloween weekend, the Camosun Chargers volleyball teams play host to the Douglas College Royals this Friday and Saturday at PISE. Regarded as two of the toughest programs in the nation, the battle between the Camosun and Douglas men and women promises to be an epic one! Carpentry apprentices Derek Vally and Kendall Foster placed first and second at the 2015 Gamechanger Youth Expo and Competition, held in Vancouver Oct. 14–16, proving their carpentry competency in a race against contestants and the clock. At the third annual BC GameChanger Youth Expo held in Vancouver October 14–16, competitors were tasked with constructing a full-sized wishing well, from blueprint to finish. The Camosun Chargers volleyball teams swept their October 16-17 season openers with an action-packed home and away weekend against Island rivals, the VIU Mariners. Camosun College is one of Canada’s top colleges for research income according to the annual Canada’s Top 50 Research Colleges report, released today by Research Infosource Inc. Now ranked 33rd in Canada, Camosun was recognized primarily for its contribution to technology, sport, manufacturing and social innovations that help small-to-medium enterprises become more competitive, productive and effective. The 2014-15 athletics season proved to be a banner year for the Camosun College Chargers men’s volleyball team who made history by capturing the PACWEST Provincial and CCAA National title. The squad reunited on Friday, October 16 to raise their CCAA Championship banner and celebrate the beginning of a brand new PACWEST season. Watch the video. It’s been a long wait for the Chargers men’s golf program whose last National title was acquired 15 years ago. But this weekend, at the 2015 PING CCAA National Championships, Head Coach John Randle and his Camosun crew came out swinging - fresh from winning the PACWEST Championship - to capture the program’s second Canadian title. Camosun's Environmental Technology students were in for a real treat this semester as their ocean science instructor Steve Gormican lectured via satellite from the decks of the Ocean Networks Canada research vessel, the E.V. Nautilus. 2014-2015 was a banner year for the Camosun College Chargers volleyball teams with the men capturing National and Provincial gold and the women winning PACWEST silver and a National bronze. While the Camosun men will be looking to repeat last year’s gold medal performances, they will need to do it without several key starters from last year’s winning squad. Camosun College is part of the provincially co-ordinated and synchronized Mass ShakeOut earthquake drill, which occurs on the third Thursday of October each year. We're asking all Camosun employees and students to please participate in this important drill. Camosun College and the Human Resources Management Association signed a memorandum of understanding to help Camosun students cultivate professional competencies and to contribute to excellence in HR management as defined by the Certified Human Resources Professional designation (CHRP). Kathy Tarnai-Lokhorst, Camosun College Mechanical Engineering Technology instructor, is committed to increasing the number of women in engineering. To help with her research, she is one of three recipients, chosen from applicants across Canada, to receive the Engineers Canada-TD Insurance Meloche Monnex scholarship award. After three consecutive seasons of settling for silver, the Camosun College Chargers men’s golf team finished at the top of the podium at the Pacific Western Athletic Association (PACWEST) Golf finale in Chilliwack, October 3-4. The Chargers flew through four fast weekends of conference competition finishing an astounding 54 strokes ahead of their adversaries in their pursuit of gold. The Camosun College Chargers men’s golf team clinched their third consecutive PACWEST tournament win at the Camosun Invitational at Bear Mountain this weekend thanks in large part to an outstanding debut performance by newcomer Jeff Riches of Victoria. On September 30 many Camosun College students and employees will wear orange shirts to show their commitment to the principle that every child matters and to show support for residential school survivors and their families. It was a battle against the elements this past weekend as the Camosun College Chargers men’s golf team fought through wild weather conditions at the Northview Golf and Country Club in Surrey to secure their second consecutive conference victory and maintain their No. 1 Canadian College’s Athletic Association (CCAA) national ranking. Welcome from Camosun President Sherri Bell. Watch the video. A secret passage/wine cabinet, electric longboard, hand-powered personal elevator, automated beer keg cleaner, and a gluten-free cookie dough depositor—these are just a few of the eclectic and ingenious projects from this year’s graduating class in Mechanical Engineering Technology at Camosun College. Something to smile about: The Dental Hygiene Clinic at Camosun College welcomes new clients from infants to adults! People looking for low-cost professional dental hygiene care are invited to contact Camosun’s Dental Clinic at the Lansdowne Campus. Clients of all ages are welcome. Camosun College Board of Governors is pleased to announce the election of a new Board Chair, Mr. Russ Lazaruk. Camosun Chargers kick off a new season! Check out this new video to learn why Camosun loves our Chargers! Having settled for silver at last year’s Provincial and National Championships, the Chargers men’s golf team will make the rush for gold this Fall in both the Pacific Western Athletic Association (PACWEST) and Canadian Collegiate Athletic Association (CCAA) conferences. Camosun’s Lansdowne and Interurban campuses are buzzing with excitement and a bit of nervous anticipation as more than 9,800 full-time students start classes this week. The west portion of Markham Street behind Interurban Campus will be closed to all traffic between Tuesday, September 1 and Saturday, September 5 to allow construction of a new crosswalk. Mingle with students, instructors and staff, help celebrate the Camosun College Student Society's 25th anniversary, say hello to the Alumni Association, learn about services and clubs available, grab lunch at the barbeque or food trucks and enjoy the free entertainment and activities. Max Hagedorn did his trade proud when he brought home the Silver Medal from the 40th annual Canadian Sheet Metal Apprentice Competition held at the West Edmonton Mall last month. The Honourable Michelle Rempel, Minister of State for Western Economic Diversification, today announced Camosun College will receive $1.56 million to create a testing Interaction Lab to support the local manufacturing sector. With the final chapter of a successful five-year varsity career just behind her, Erika Sheen, star setter of the Camosun Chargers National Bronze medalist women’s volleyball team returns to the bench in her new role as one of the program’s assistant coaches, thanks in large part to funding from Sport Canada and the Female Apprenticeship Coach Program (FACP). In September 2015, Camosun College will introduce the innovative course Understanding Indigenous Peoples (TELTIN TTE WILNEW). Designed to guide learners to a better understanding of Indigenous culture, it offers an inside look at the distinctive worldview and historical experience of First Nations and Métis people in Canada. Camosun sheet metal student Justine McHale and carpentry apprentice James King spoke at a Provincial Government event yesterday when the Premier and the Industry Training Authority (ITA) announced funding of over $75 million to BC’s trades training providers, including Camosun College. Justine told the crowd that she “loves the challenge and creativity in learning a trade” and she “aspires to be a well-rounded, skilled tradesperson” who cannot wait to see where her path leads her. Camosun College's Computer Systems Technology and Electronics & Computer Engineering Technology - Renewable Energy students will showcase their Capstone projects to potential employers and the public. Now, at the culmination of their studies, these students possess the abilities to design and create exciting and innovative projects. Public and media are welcome to attend. There is no cost for admission or refreshments although guests are asked to pre-register online. Camosun College is celebrating the grand opening of the new location of its on-campus Athletic & Exercise Therapy (AET) Clinic on Thursday, June 25 from 2pm to 6pm in the Pacific Institute for Sport Excellence (Suite 204) on Camosun's Interurban campus. General public is invited to drop by. After ten intense and creative months, 15 students are about to graduate from Camosun College with a certificate in Fine Furniture and Joinery. To celebrate, they are showcasing their final projects in a public exhibit called "Studies in Seating" at the Arts Centre at Cedar Hill Recreation Centre from June 18 to July 2, 2015. More than 3,000 graduates and hundreds of guests are expected to attend Camosun College's 2015 Graduation over four ceremonies this Thursday and Friday, June 18 and 19 at the Pacific Institute for Sport Excellence, Camosun College, Interurban Campus. Camosun's School of Trades and Technology held their annual Student Awards Ceremony on Thursday, May 28, 2015 in the Spectrum Community School Theatre. The school awarded over 100 awards and gifts this year, totalling $62,000. Over 1.1 billion tourists travelled abroad in 2014 with 3% to 4% growth in 2015, according to the United Nations World Tourism Organization. Responding to the emerging needs of local industry, government, and, the global expanding tourism industry, Camosun College has launched the new Post-Degree Diploma in Applied Tourism and Hospitality program. Students looking to upgrade their basic academic and English as a Second Language (ESL) skills can still do so through Camosun College. The Camosun College Foundation announced today that in just six months it has exceeded the million dollar milestone in its TRADEmark of Excellence Campaign, clearly positioning the final $5 Million target in its sightline. Campaign contributions will provide enhanced teaching equipment and facilities, making the Trades Education and Innovation Complex not just a reality, but a truly remarkable trades education facility. Camosun DECA competitors posted a chapter best performance at the 2015 International Career Development Conference in Orlando, Florida. On April 21, all seven competitors advanced to the final round of competition in their individual events, something that has not been done in the chapter's seven year history. The Honourable Andrew Wilkinson, Minister of Advanced Education, today announced Camosun College will receive $497,000 to help reduce waitlists in critical trades training programs including carpentry, welding, plumbing and electrical. The announcement was made among trades students in Camosun's carpentry shop at the Interurban campus. The Camosun College Dental Assistant students are providing low-cost dental care for children between the ages of 5 and 20. You can book an appointment for your child for $20 or less. Camosun College trades and South Island Partnership students collected a total of 10 medals at the 21st annual Skills Canada BC competition held in Abbotsford April 15, with five gold medalists qualifying for the prestigious National Skills Canada competition in Saskatoon, May 27-30, 2015. A recent survey of international students shows that they're happy with Camosun College's high quality of education, small class sizes, and safe campus environment. The recent BC Labour Market research shows a strong demand in the next ten years for office administrators, legal administrative assistants, and medical office assistants. Camosun College is responding to that economic reality by providing re-designed Applied Business Technology programs. Camosun is one of a few select Canadian post-secondary institutes to be invited to enter into memorandums of understanding to develop educational partnerships with India's National Skill Development Corporation (NSDC). The MOU attests to Camosun's demonstrated expertise in sport education and expansive international network, and was one of 13 MOUs signed in Ottawa Wednesday in the presence of Prime Minister Stephen Harper and Prime Minister Narendra Modi, who is on his first visit to Canada since his election in India last year. Students of Camosun's influential Visual Arts program showcase their works in two year-end exhibits. The shows explore a variety of mediums: drawing, animation, painting, photography, film, ceramics, sculpture and performance art. Camosun's Carpentry Foundation students are giving back, working on a local building project for Habitat for Humanity Victoria. A class of 28 entry-level students are training on site, learning and constructing the footings, foundation, frame, floors, and walls of a new townhouse four-plex on Cedar Hill Cross Road in Saanich for the non-profit organization. The public is invited to attend this year's Camosun Comic Arts Festival, hosted by the Comics and Graphic Novels program. Admission is free and the main event is scheduled for 12-5pm on Saturday, April 11, 2015. Activities will be located on the third floor of the Young building at Camosun's Lansdowne campus, 3100 Foul Bay Road, Victoria. Congratulations to Camosun School of Business alum Jessica Cruise who is receiving a "Top 30 Under 30" award at the annual BCBusiness gala celebration in Vancouver, April 28. Camosun Environmental Technology student Kyle Nelson was named the 2014 College Co-op Student of the Year this week, and BBA-Accounting student Jasmine Giesbrecht claimed the Honourable Mention. These prestigious awards, presented by the Association for Co-operative Education-BC/Yukon, recognize academic achievement, community involvement and letters of support from employers and educators. Camosun Business students are putting their new project management skills to the test in a fundraising project for VIDEA (Victoria International Development Education Association.) This is one of the final assignments for these fourth-year students, who will soon be graduating with a a Bachelor of Business Administration – Marketing degree. The Camosun Foundation is pleased to announce a new bursary for students who were formerly in youth care under the Ministry of Children and Family Development. The WCG Former Youth in Care Bursary provides financial support to Camosun College students pursuing a full-time certificate program, who previously spent time in the care of the Ministry of Children and Family Development (MCFD). History was made this weekend as the Camosun Chargers men's volleyball team captured the program's first-ever National title! It was the Chargers' eighth appearance at the Canadian Collegiate Athletic Association (CCAA) Championships and their first championship final. The Chargers women made their first National appearance and brought home Bronze with Head Coach Chris Dahl earning the coveted CCAA Women's Volleyball Coach of the Year Award. Camosun College will launch a 10-month, part-time evening Digital Marketing certificate program in September 2015 that will equip participants with leading-edge, applied training, tools and techniques to effectively market a brand, service or product online. A free information session will be held March 30, 5:30 to 6:30pm in the Tectoria building at 777 Fort Street. The popular Camosun International Cultural Showcase, now in its eighth consecutive year, expands to welcome members of the wider community, in addition to a talented cohort of student performers. On Friday, March 20, 2015 at the Alix Goolden Performance Hall, 907 Pandora Ave., more than 12 different acts will bring cultures together and celebrate diverse expressions of talent. Admission is free for this family-friendly event. The Camosun College Chargers volleyball teams made history this year with both the men’s and women’s squads qualifying for the Canadian Collegiate Athletic Association (CCAA) National Championships which begin this week. While the Chargers men have made a number of appearances at Nationals, it will be a record-making first for the women who have engineered the program’s most successful season to date. Young Leaders Connection (YLC) is designed to help young people between the ages of 17 and 24 develop their leadership styles and abilities. The two-day training seminars focus on emotional intelligence (EQ) as it applies to leadership and communication and are offered in two streams, one for women and one for men. International Women's Day is March 8 and Camosun's Women in Trades (WITT) class is celebrating by giving back! Instead of making take-home projects during their Fine Furniture unit, the class, with instructor Sandra Carr, built two custom-made cedar garden benches to donate to Victoria's 5th Annual International Women's Day fundraiser luncheon silent auction, hosted by the Bridges for Women Society. All funds raised by the benches will go directly to the society. Chargers volleyball teams off to nationals! The Camosun Chargers volleyball teams tapped into a treasure trove of awards and hardware over the past week, with almost a dozen Chargers being selected as PACWEST Award Winners and both teams finishing in the medals at the PACWEST Provincial Volleyball Championships. Whether it's accounting, marketing, mechanical engineering, human resources or financial management, construction trades or public relations, it's always better to learn about a career from someone who's currently working in the profession. Skills Canada Regional competition…and more! Camosun's Interurban campus was abuzz with activity on Friday, February 27. About 1,000 middle and high school students were on campus for a one-day event coordinated by the South Island Partnership and Camosun's School of Trades and Technology. Today, the PACWEST announced the winners of the 2014-15 PACWEST Volleyball Awards and Camosun is proud to congratulate the following Chargers for their outstanding achievements in collegiate athletics. Camosun’s Interurban campus will be abuzz with activity on Friday, February 27. Two Camosun trades training students will have an easier time with their studies this year, thanks to a recent bursary donation from the Princess Auto Foundation. Camosun College is seeking nominations for its annual Distinguished and Promising Alumni Awards, to be presented at college's annual Graduation Ceremony, June 18 and 19, 2015. Have you seen the #CamBus yet? #CamBus is on the roads, serving major routes from Sidney to Sooke! There’s only one bus, on a different route every day—but you can’t miss it! What does our reaction to disease and contagions say about us? Find out at this lively, interactive panel discussion where Camosun experts explore the topic of infectious diseases, as seen through the lenses of humanities, arts and science. Camosun College is meeting the needs and challenges identified in the Conference Board of Canada's recently released Skills for Success: Developing Skills for a Prosperous BC report through its diverse programming in high-demand areas as trades, applied sciences and technologies, business and management. Camosun College is proud to host the PACWEST Men's and Women's Provincial Volleyball Championships, at the Pacific Institute for Sport Excellence, Interurban campus, February 26 to 28. The college welcomes fans and competitors to this exciting three-day event as the PACWEST's Top 6 Men's and Women's teams gather under one roof to battle for the crown. Standing at #1 (Women) and #2 (Men) in the conference standings, the Chargers are well within the Top 6 and are striving to get the first round bye. Last year, 34 Camosun students received $146,000 in awards from the Irving K. Barber BC Scholarship Society. Transfer scholarships encourage students to start their post-secondary studies at a college close to home; international scholarships provide global perspectives, and Aboriginal awards help train teachers who can give back to their communities. People looking for low-cost professional dental hygiene care are invited to contact Camosun's Dental Health Clinic at the Lansdowne Campus. Clients of all ages are welcome. The clinic has been serving the Victoria community for over 25 years and our Dental Hygiene students have the reputation of providing gentle, personalized and professional care, fully supervised by our licensed and experienced faculty. ooking forward to meeting hundreds of Camosun students and graduates, 25 employers have signed up for Camosun's Trades and Technology Career Fair this Thursday, January 29, 2015. Hosted by Camosun's Co-operative Education and Student Employment office, this annual event is scheduled for 10am-2pm in the Technologies building at Interurban Campus. Congratulations to Claremont High School and Ecole Victor Brodeur, winners of the Fall 2014 ChatterHigh Competition sponsored by Camosun College. Claremont High School won $1,000 in the AA competition for schools with more than 600 students, while Ecole Victor Brodeur won $750 in the A competition for schools with less than 600 students.